Over the last month, as a DMU Graduate Champion on a work placement at Soft Touch Arts, I have had the privilege to sit in and work with a group of very talented young people. Every Tuesday between 4-6pm, just like clockwork the MiXT-Up sessions take place at Soft Touch Arts. These sessions aim to engage young people who would otherwise not get the opportunity to explore their musical talents and abilities because of their life circumstances. With the aid and guidance of the facilitators and music session leaders, these young people are able to cultivate their ideas. I love the amount of variety at MiXT-Up. Its not limited to one or two genres – there is a diverse musical pool from Rap to Rock and a lot which can be fitted in between is all explored at MiXT- Up sessions. As a huge Rap fan I spent a lot of time with young people who were getting acquainted with rap music. It wasn’t even just one type of rap there was a MiXTure; Grime, Afro-Swing, Drill and old school rap. This was just the beginning and I was astonished to find out that all the music production is created in-house, as with the support of talented music production staff within the Soft Touch team they don’t need to look elsewhere for producers. Thanks to funding from Youth Music, Soft Touch can offer these sessions free to young people who wouldn’t otherwise be able to access this kind of support. With the help of their peers blended with the guidance of the music leaders the MiXT UP sessions have become a hub of talent and a place bursting with potential. I wanted to see if I was the only one who had similar views on the success of the sessions, so who better to ask than those who participate themselves. “The Most important thing I’ve learnt is the understanding of how music and more importantly the music industry works”. This is one of the main things I admire about the Soft Touch Arts charity – that they not only build up the young peoples’ confidence and bring out their creative side but they also provide practical tips for the real working world. 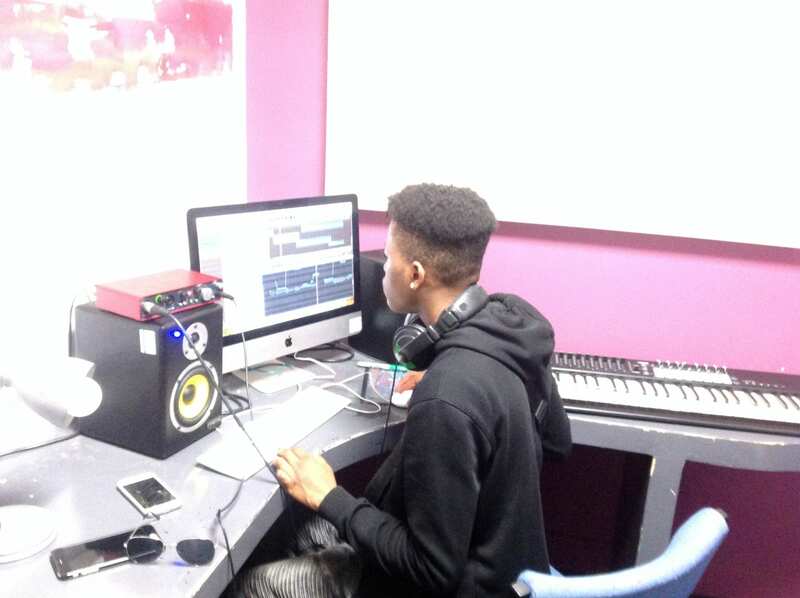 With the practical advice as well as the musical guidance Mixt-Up really gives young people who would otherwise not have the opportunity to make music a route to better future life opportunities.